Shoulder Injuries: Charles Glass's Personal Experience. I had been bodybuilding for a while but had to clean and jerk most my weight because I trained in a garage gym alone... Learn more about what caused the pain and what I did to relieve the pain. 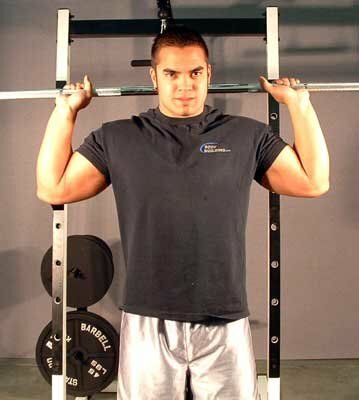 Shoulder pain is one of the most common problems as athletes that bodybuilders deal with. The shoulder is a very complex joint; however most injuries occur in a pattern, which usually involves the rotator cuff. I had been bodybuilding for a while but had to clean and jerk most my weight because I trained in a garage gym alone, so I had to clean and jerk most my weight, then sit and press it. I started to notice an acute pain in my rear delt—A nagging pain that also started to bother me when I did chest press. It took me awhile to find out why this was painful and what was the cause. I visited with a friend who was a deep tissue massage therapist and he was able to identify that the pain was coming from my rotator cuff. Unknown to me at the time... This is a very common complaint of pain in bodybuilding focused on the rear deltoid region in relation to movements: bench press, shoulder press and behind-the-neck press. Often they reach the point that they are unable to do these movements at all. My pain was focused on the rear deltoid or a posterior region from the muscles of the rotator cuff. 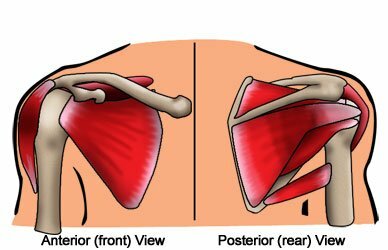 The rotator cuff is comprised of four small muscles that originate in the scapula and insert into the upper portion of the humorous. You may notice weaknesses the shoulder in all pressing movements and some additional movements. The rotator cuff's function is to keep the head of the humorous stabilized in the shoulder joint. Without the stability pressing is out of the question. Looking at the arm in a relaxed position at your side you will notice how the muscle fibers of the deltoid are vertical or perpendicular to the floor. If you lift up your arm as doing a press and you didn't have a rotator cuff—as soon as the deltoid initiated the contraction the head of the humorous would pull up vertically into the shoulder joint, with bone to bone contact, and this would necessitate a shoulder repair or replacement. The rotator cuff works in unison to give the joint free movement. It keeps the head of the humorous inserted into the joint. The supra spinatus, the infra spinatus, the teres major and the sub scapular are the four muscles that work together to provide functionality of the shoulder region. The Four Major Muscles Of The Rotator Cuff. The infra spinatus, and the teres major assist in laterally rotating the shoulder. The only other muscle that provides a degree of external rotation is the posterior deltoid. The supra spinatus pulls the head of the humerous into the joint to aid in contraction and also vertical rotation of the shoulder girdle. When you train the major muscle groups: chest, back and shoulders the use of the perctoralas major, anterior deltoid, latissimus dorsi, and teres major are used as well as the sub scapular for primary, medial or internal rotation of the shoulder. That mass of muscle significantly overpowers the smaller muscle groups if you train your chest wrong. 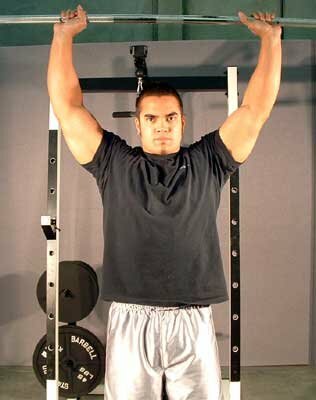 The pectorals will pull the shoulder in a forward position. So when you attempt a press behind the neck the smaller muscles have already been forced forward. 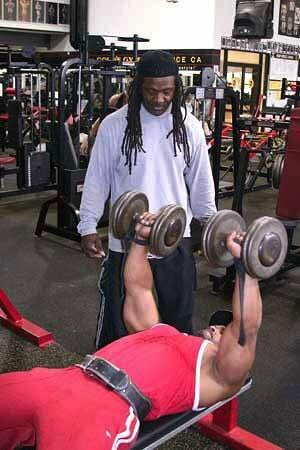 That's why many times shoulders and chest are not trained together. Continuation of training chest improperly will restrict the movement and flexibility of the shoulder joint and make it difficult to get into positions for pressing movements with shoulders. Heavily developed medial rotators presents a situation where your body is fighting against itself in a pulling pushing movement so the use of heavy amounts of weight are made impossible. Muscle tests performed on injured athletes may show a variation of pattern of injury, and not just the case of one muscle being stronger than the other. Most people train too heavy, too often, and with improper form which develops a risk for chronic injury. Most People Develop A Risk For Chronic Injury. Injury presents itself symptomatically with pain and inflammation at the site, over time adhesions may form in the muscles and surrounding tissue forming a scar type tissue that will decrease the normal range of motion and decrease the ability of the muscle to lengthen and contract. Commonly adhesions will form in the pectoralious major, the anterior deltoid, and the teres major which in tern will decrease the contraction of those muscles. If you experience some of these problems, some of the discomfort may be alleviated with cold compresses to the areas 20-30 minutes twice a day. Also stretching the muscles out may be helpful, this was very successful for me. I found that if I applied these things it helped heal my injury faster. When I overtrained it caused my stabilizing muscles to weaken, which in turn increase the pain to my rotator cuff. That's why it so very important to not over train and provide sufficient rest to the rotator cuff area. 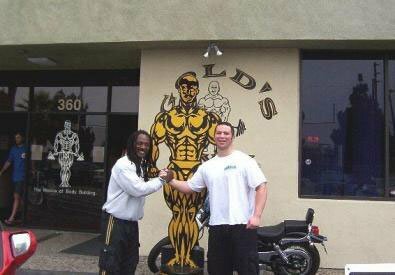 Charles Glass Outside Of Gold's Gym. 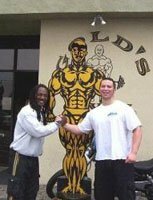 Superstar trainer Charles Glass is now part of the Bodybuilding.com team. Learn from the best in the industry.